Seems this was a week of birthdays. 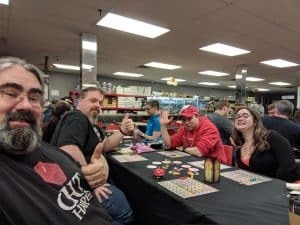 Wednesday, I attended a friend's birthday party at The CG Realm, where I got to play a couple of games. Then this past weekend I had my birthday party. 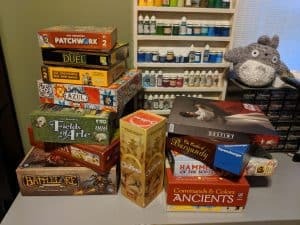 I played so many games for my birthday that I'm going to talk about that in a separate post. 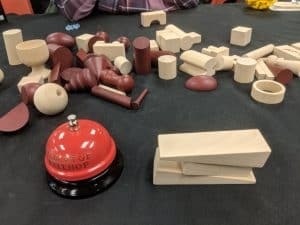 This is the ninth episode of Tabletop Bellhop Live, an edited version of our live show recorded on September 26th, 2018. Join us as we stream live every week on Wednesday’s at 9:30 Eastern on Twitch. If you like some video with your audio you can also watch/listen to an unedited version of the show over on YouTube. What game mechanics do you prefer? Thanks for the question NecroDaddy80. This was the first ever question we received on Twitch, while recording our first episode of Tabletop Bellhop Live.